Medium duty cantilever racking. Single and double sided cantilever racks for the storage of bar, timber and pipework. 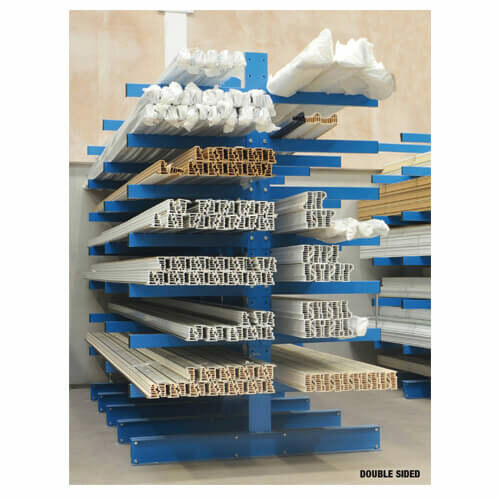 Cantilever racks are designed for the safe and organised storage of long and heavy loads - ideal for timber or metal storage. Our cantilever rack systems are an effective and efficient alternative to conventional lighter weight storage solutions. Medium duty cantilever bar racks are supplied as starter bays (2 end frames plus bracing) and add on bays (1 end frame plus bracing) enabling the units to be easilly extended to form a row of cantilever racking both in single and double sided options. 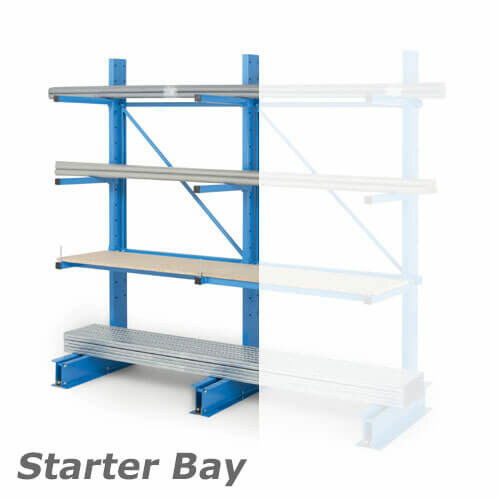 Medium duty cantilever bar racking is only suitable for hand loading.